The presidential debate was a dizzy shotgun of policy (the sidestepping and/or noodling around information) and rehash of the timeless and tedious exchange over tax policy. With the growing and serious environmental and societal challenges facing the next century, that conversation seemed somewhat removed. That is not to say the discussed topics are not vital, but they are often all we ever hear. Measured citizens seem to agree: tax reform is inevitable, entitlement reform is a given, Romneycare and Obamacare are more alike than different, and creating jobs-ever the mantra-a must. The theme of the event was the economy, and the topic of energy naturally and swiftly recited (on both podiums) with usual tokens: clean coal, natural gas, some green, domestic oil. And energy independence, also the mantra, as if we didn’t live in a globalized market, spouted. But where was the inspiration-the opportunity to redefine a new society geared for longevity? Even some in China, as described by Thomas Friedman in his recent column, have begun to recognize the need for a new understanding of sustainability. Our plans include some investments here, deregulation there, and short-term visions of incremental change. Where is the revolution? Not a green revolution, for that trivializes the gravity of it all, but a seismic shift in thinking-a holistic revolution! One not centered on “more” and getting “more”, cheaper, but on the shared sacrifice of making hard choices and banding together around a shared vision of long-term prosperity. A new life-style. New values, that really are as old as time. Where is our “go to the moon” moment? We are starved for a renaissance of public works and long-even more-for an increased cultural value placed upon sound corporate citizenry. Colorado could not have been a better location to forge this conversation. Not only is it geographically center, but representative of our transitioning energy economy and the challenges, impacts, and successes of related technologies. It is also representative of the major global challenges of the next century: climate change, water resources, food resources, and population growth. Critical conversation and mediation of all these interwoven topics are integral to the future and the future economy for that matter. Lets begin that debate! The Western image is one of prosperity and self-reliance. When Clint Eastwood swaggered onto the Republican National Convention last week it was to images and sounds of the lone gunfighter-a commander of place and situation. Regardless of political persuasion, it is hard not to embrace (if only slightly) this western myth and how it was so immortalized by painters in the beginning, and John Ford later on. That myth is a simpler understanding of the world, of right versus wrong, good versus evil, and trials justified by faith and destiny. It is one of wild futures, needing to be grasped, staked, and tamed, person, land or otherwise. That mantra has carried our conflicting history and continues on. It is our success as a nation and our darker conscious too. 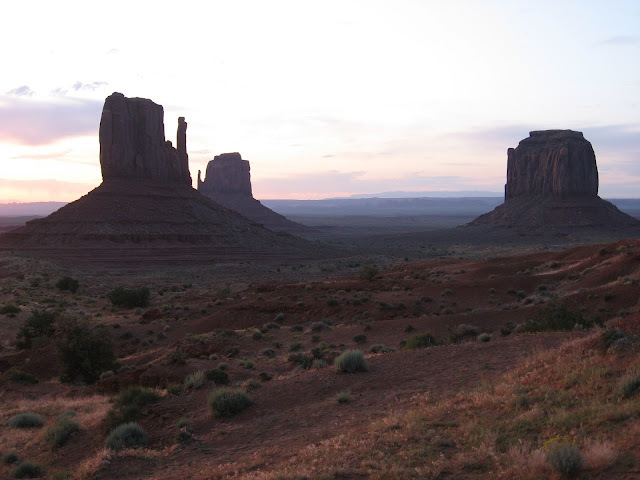 Monument Valley, the icon of Western image. Today that relationship with land is more complex, but at the essence embodies a similar timbre. Leaders of the political arena (bi-partisan, too) recognize that the last great frontier is energy. Of course the great irony is this exploration is not for national self-reliance, but contribution to a very global market and highest bidder. Regardless, conservation, a very conservative ideal at its core, escapes discourse. Instead, the narrative is driven by rugged expansion and the quest for more. The 2012 Republican Platform embodies this Western image perfectly, and advocates “an all-of-the-above diversified approach, taking advantage of all our American God-given resources”. Once again it is a destiny, a Manifest Destiny, a continued rationale for how we understand and interact with our land. Enter Portal, North Dakota, a border town, a gateway to even more plains of greens and yellows. I cross back into the USA and drive with few interruptions, few towns, little of anything, for now. In the distance, what at first looked like a scattered stand of warped trees, I see large narrow towers of metal. They are oil rigs rhythmically churning into the ground near large trailers of industry, all surrounded by the pastoral calm of grazing beef. And then a hot and rich metallic smell fills the air and lingers reminiscent of Gary, Indiana, except harnessed with the winds of the open plains and carrying more dust. I continue on past Bowbells, Kenmare, Carpio, small towns that would otherwise look lost or pasted by if not for the boom. Instead taverns, converted (maybe) from sheds, abound with filled parking lots of F150s or other popular models. Tired roughneckers in T-shirts and jeans and boots wander in and around this and other strip-malls and strip-clubs. This is not a lazy place. It is opportunity reborn into a 21st century frontier town of construction and commerce and men escaping family and recession for their chance. I learned after my trip that I had crossed veins of the Bakken formation, a vast submerged shield of shale that stretches beyond North Dakota into Montana and Saskatchewan. The frontier town is hardly something new, but will this 21st century reincarnation extend beyond the precedent “bust”, which is scarred deep into the fabric of old mining towns throughout the Rockies? So small and so far removed this corner is from our comprehensions. If we have learned anything from rural extractions, anything from history, we know three truths: growth is chaotic, the land often spoiled, and we are eventually left with the shelled remains of our hidden costs and continued progress. 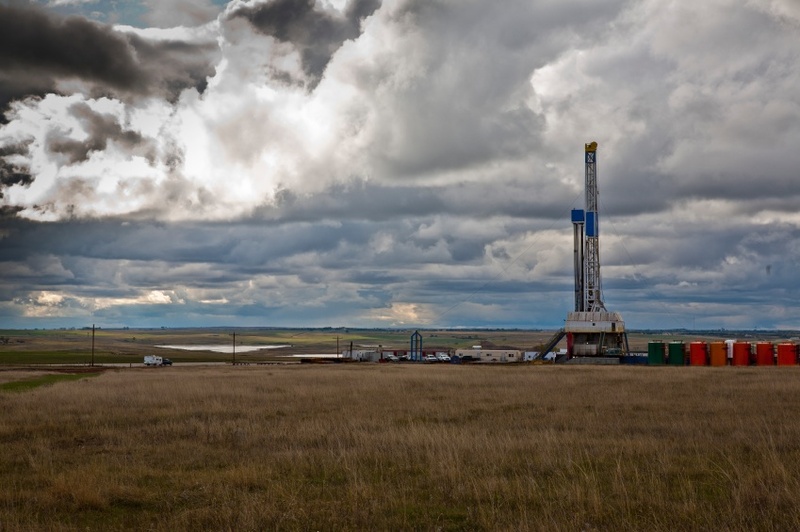 For furthering reading regarding the oil boom in North Dakota look to Nicholas Kusnetz’s piece, North Dakota’s Oil Boom Brings Damage Along with Prosperity, for ProPublica. © Gabriel Neely and Edging West, 2013. Unauthorized use and/or duplication of this material without express and written permission from this blog’s author and owner is strictly prohibited. Excerpts and links may be used, provided that full and clear credit is given to Gabriel Neely and Edging West with appropriate and specific direction to the original content.